Public concern about the impacts of climate change is the highest it’s been, but so, too, are our planet’s temperatures — and the level of carbon emissions that are driving them up. Warnings from scientists and environment agencies about what’s happening to our climate aren’t in short supply. Still, we’ve ended up at a point where we now have less than 12 years to change course — to curb our carbon emissions enough to prevent the Earth’s temperature from rising more than 1.5 Celsius above pre-industrial levels. Beyond that point, according to the UN Intergovernmental Panel on Climate Change, we’ll see even more catastrophic impacts in the form of extreme temperatures, droughts and more intense storms. The country is freezing in an unprecedented fashion, and global warming is to blame. Sound crazy? The cold snap that North America is experiencing east of the rocky mountains, with temperatures at Arctic-like levels, is real, but it's only part of the story. Simultaneously, there are record warm temperatures happening in other parts of the world, from Australia to the actual Arctic. With his comments this week on California’s recent spate of vicious wildfires, Interior Secretary Ryan Zinke waded into a longstanding debate over how forests are managed. Mr. Zinke and his boss, President Trump, also dismissed the impact of global warming on the fires. But the secretary later clarified his comments, responding “of course” when asked if he accepted that climate change was part of the problem. The World Health Organization and U.S. Centers for Disease Control and Prevention have previously sounded alarms about the growing issue of antibiotic resistance—a problem already linked to overprescribing of antibiotics and industrial farming practices. Now, new research shows a link between warmer temperatures and antibiotic resistance, suggesting it could be a greater threat than previously thought on our ever-warming planet. 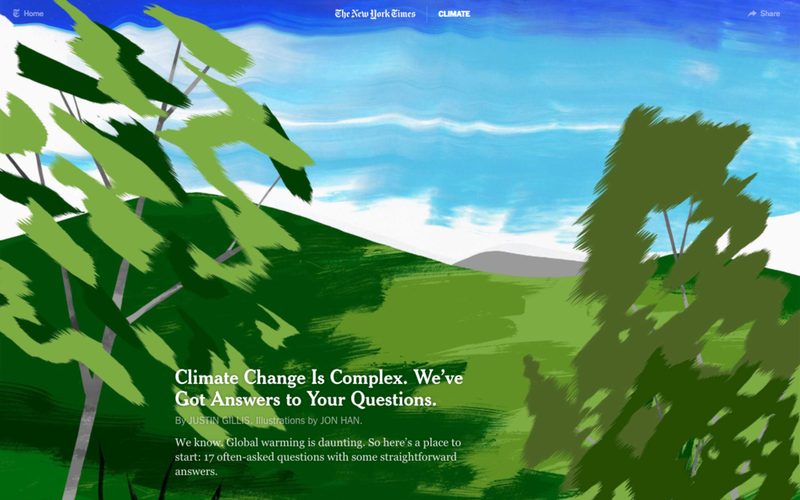 The study, led by epidemiologists from Harvard Medical School (HMS), Boston Children's Hospital, and the University of Toronto, was published this week in the journal Nature Climate Change. Solar energy is off the charts. Not only is uptake skyrocketing, but solar is now the cheapest form of new energy in dozens of countries, with record-setting solar farms being built all around the world. One even looks like a giant panda. By summer, four million people in the city of Cape Town—one of Africa's most affluent metropolises—may have to stand in line surrounded by armed guards to collect rations of the region's most precious commodity: drinking water. Vandana Shiva, a physicist, urges us to reconsider how we view capitalistic society and the ways that we engage with our environment. She believes that the Earth will not die due to human beings but that we will not survive if we do not take care of the environment that we are adapted to. And the way to do this is to reconnect with the work that we deemed unnecessary and women's work: working with our hands and making food. “Spiders are really powerful,” Frederick Andrew tells me. It’s a bright summer morning in Tulı́t'a, Northwest Territories. We’re standing at the side of a dirt road, examining rain-drenched willows in the wake of a storm. In Dene, an Athabascan language of the central Northwest Territories, the word for rainbow is closely related to the word for spider web. For someone who speaks Dene, gotsǝ́ mı̨́ (literally, “spider net”) evokes both the prismatic arc of a rainbow and the sparkling water drops that catch on spider webs after the rain. The word itself connects the smallest beings with the most striking of natural phenomena. ROME (Thomson Reuters Foundation) - With their alpine grasslands shrinking due to erratic rainfall and glacier retreat, herders in Peru’s central Andes have decided that the future lies in reviving the past. To improve access to water and save their livestock, indigenous communities in the villages of Canchayllo and Miraflores have restored abandoned dams, reservoirs and canals that date back over 3,000 years. 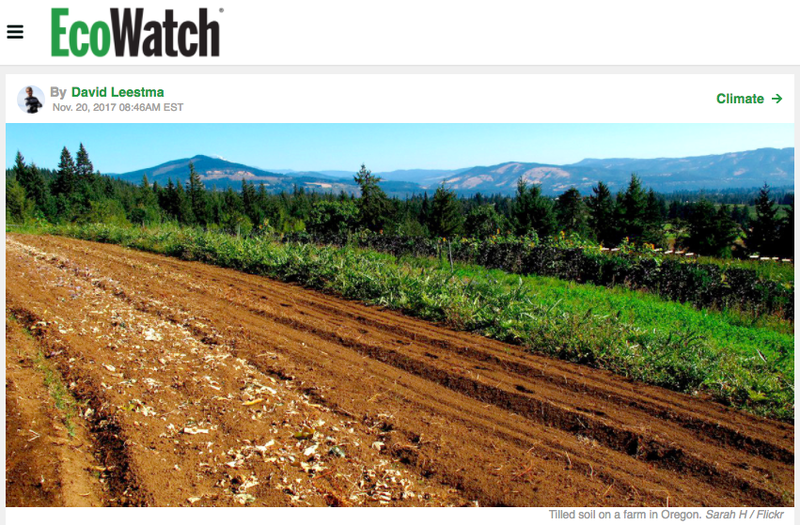 Soil Management: Key to Fighting Climate Change? An important tool for mitigating climate change may lie beneath our feet—soil management could increase our ability to keep carbon out of the atmosphere, a new study shows. A paper published last week in the journal Scientific Reports estimates that by altering land use practices, the top layer of soil around the globe could increase the amount of carbon stored anywhere from 0.9 to 1.85 billion metric tons per year—an amount that equals the transportation sector's carbon emissions. TERBOL, Lebanon — Ali Shehadeh, a seed hunter, opened the folders with the greatest of care. Inside each was a carefully dried and pressed seed pod: a sweet clover from Egypt, a wild wheat found only in northern Syria, an ancient variety of bread wheat. He had thousands of these folders stacked neatly in a windowless office, a precious herbarium, containing seeds foraged from across the hot, arid and increasingly inhospitable region known as the Fertile Crescent, the birthplace of farming. TURRIALBA, Costa Rica — The trees of the International Cacao Collection grow here in an astonishing diversity of forms, bearing skinny cacao pods with scorpion-stinger protrusions, spherical green pods that could be mistaken for tomatillos, oblong pods with bumpy skin resembling that of the horned lizard — all in colors ranging from deep purple to bright yellow. Within each of these pods are seeds that yield something beloved by billions: chocolate. Climate change means colder winters, heavy rains and lots of environmental hazards for many people, writes Lina Yassin of Climate Tracker. Ceylon Clayton is trying to revive a sea moss growing project he and friends started a few years ago to supplement their dwindling earnings as fishermen. Algae occur naturally in most bodies of freshwater and saltwater. It’s normally fairly harmless, but the right combination of warm water, high nutrient levels, and adequate sunlight combined can cause a harmful algae bloom. These blooms can damage aquatic ecosystems by blocking sunlight and depleting oxygen that other organisms need to survive. Some algae, like red algae and blue-green algae, can produce toxins that damage the human nervous system and the liver (and they also stink — literally). 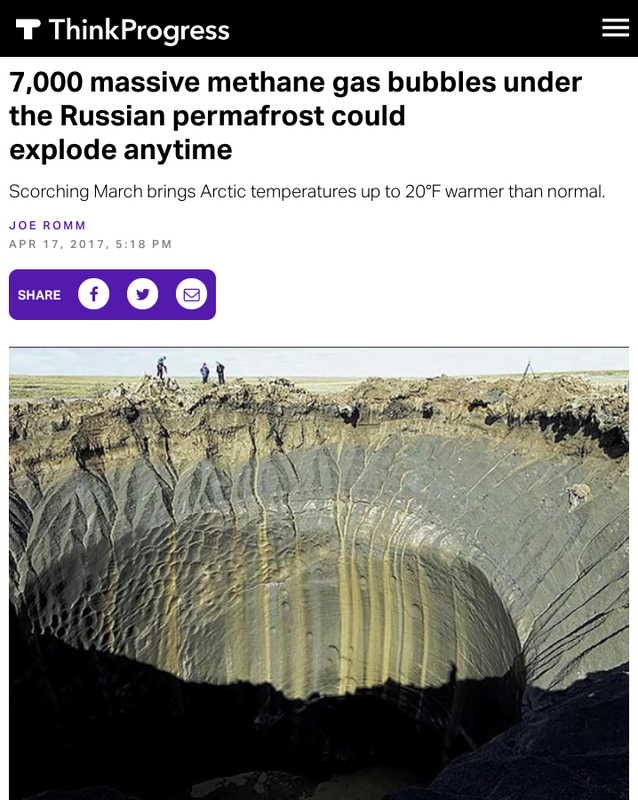 Russian scientists have recently discovered some 7,000 underground methane bubbles in Siberia that could explode anytime. Do you want to learn more about Ecothropic's work? In this video, Britt Basel discusses our philosophy and our recent work at the AREDAY conference in Snowmass. Let's change the tag to Doug Parsons and America Adapts bring us to the Community Based Adaption conference in Kampala, Uganda - CBA11 - giving us the chance to really understand what the global players are doing to address the daily reality of climate change around the world. In Arizona, you can do it for 5 minutes, and longer when it gets warm. If it’s cold, then in Connecticut you can stay at it all night. Do it in London and you will now be fined £80 (US$104). And please do keep it away from schools. To sit in a stationary vehicle with the engine running might seem a pointless waste of fuel, but a surprisingly high number of drivers do it for hours on end. From truck drivers who want to keep the lights and air conditioning running while they rest to commuters in Alaska who need their car to start in the morning, engine idling is a traditional and beneficial part of many road users’ routines. But now it’s time to stop, say health officials in the United Kingdom. They are starting to crack down on parents who idle away in their cars at the kerbside as they wait for children to emerge from school. It’s an unnecessary source of air pollution, the officials argue, and part of the reason why 59% of people in the United Kingdom live in areas where nitrogen dioxide pollution is above legal levels. CAPE GRIM, Tasmania — On the best days, the wind howling across this rugged promontory has not touched land for thousands of miles, and the arriving air seems as if it should be the cleanest in the world. In the 1990s, as climate change became a prominent issue, industry associations like the American Petroleum Institute organized an ambitious to confuse the public about the facts of climate science. Their campaign was based on the tobacco industry’s work to obscure the link between smoking and cancer, using fringe think tanks to spread junk science. Late last year, one of the architects and chief spokesmen for that campaign, a professional denier named Myron Ebell, was put in charge of President Trump’s Environmental Protection Agency (EPA) transition team. Fake science was infiltrating the new administration. US Energy Secretary Rick Perry was accused of lacking a "fundamental understanding" of science this week after he said climate change was not primarily caused by mankind. In a letter quoted by the New York Daily News, the American Society of Meteorologists told the politician it was "critically important" that he understood that emissions of carbon dioxide and greenhouse gases were "the primary cause". It added: "This is a conclusion based on the comprehensive assessment of scientific evidence. It is based on multiple independent lines of evidence that have been affirmed by thousands of independent scientists and numerous scientific institutions around the world." Scientists say climate change could displace hundreds of millions of people by 2050 through increased droughts, floods and hurricanes. In addition, the cost of redressing climate problems could reach £550bn globally each year by 2030, reports Business Insider. Alongside these apocalyptic predictions, smaller effects are expected - and, in some cases, are already being felt. WASHINGTON — President Donald Trump’s announcement on June 1 that the United States would withdraw from the Paris climate agreement was met with widespread dismay and fears that the decision would put the entire global agreement in peril. For Latin American countries, which overwhelmingly support global efforts to tackle climate change, the move will make it more difficult to meet climate objectives, and it will put a strain on relations with the United States. 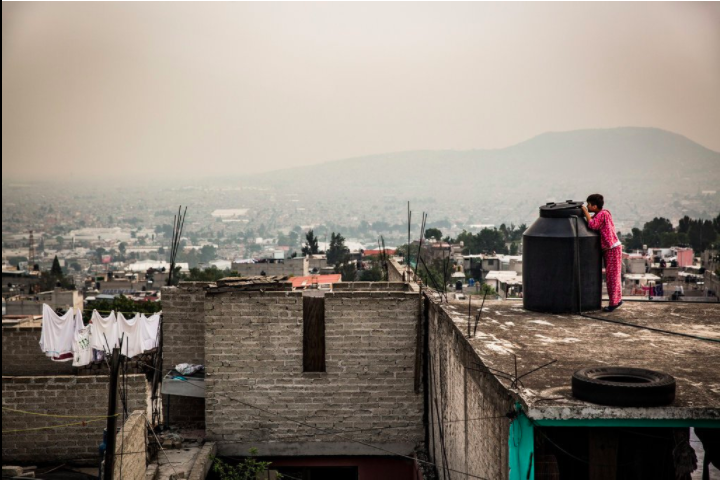 Latin American countries are among the most committed to tackling climate change. About three-quarters of citizens in the region consider climate change a very serious problem, among the highest percentage in the world. Rachel Cleetus is the lead economist and climate policy manager with the Climate and Energy program at the Union of Concerned Scientists. Much of the Southwestern United States is reeling under a heat wave so severe that it has forced airlines to ground flights. On the Gulf Coast, millions of people were put on emergency alert ahead of Tropical Storm Cindy, which caused widespread flooding and power outages. Climate change is already affecting our economy and safety, with risks to critical infrastructure — roads, bridges, dams, water and energy infrastructure and military sites. The nation’s infrastructure is already in a precarious state, consistently earning a near-failing grade of D-plus from the American Society of Civil Engineers. Much of it was built assuming past climate and weather patterns, with some margin of safety. But now, climate change — in the form of more frequent and severe heat waves; floods exacerbated by sea-level rise and increased heavy rainfall; droughts; wildfires; and other impacts — is adding an extra layer of risk. Trump has taken steps to ease the burden on coal country by ripping up environmental rules and pledging to withdraw the United States from the Paris climate accord. But those deregulatory steps do little to offset the mounting long-term challenge that coal faces from cleaner forms of energy, especially solar. By 2040, U.S. power generation from renewable energy is likely to skyrocket by 169%, according to a recent forecast from the research firm Bloomberg New Energy Finance. Coal-fired power is projected to plunge by 51% in the United States over the same period. "The greening of the world's electricity system is unstoppable," wrote Seb Henbest, the lead author. Despite Trump's promises, more and more electric utilities are expected to dump coal as businesses and individuals adopt solar panels. That's because of a simple economic reality: Renewable energy costs are poised to continue dropping thanks to a gush of investment. Dangerous heatwaves are far more common than anyone realized, killing people in more than 60 different parts of the world every year. Notable deadly heatwaves include the 2010 Moscow event that killed at least 10,000 people and the 1995 Chicago heatwave, where 700 people died of heat-related causes. The Trump administration can’t entirely roll back progress on climate change. Here’s why. Environmentalists are not happy with the Trump administration. There are rumors that Trump may withdraw from the landmark Paris agreement on climate change. And Secretary of State Rex Tillerson, the former CEO of ExxonMobil, is probably unlikely to champion U.S. environmental priorities in his diplomatic agenda. Trump’s Environmental Protection Agency pick, Scott Pruitt, is not a fan of environmental regulation and is unlikely to support the Clean Power Plan, Obama’s signature climate policy. Here’s the good news: States, cities and many companies in the United States realize that sensible climate policy is, well, sensible. Having rational policies in place provides important health benefits, such as reducing smog, and helps authorities prepare for climate-induced changes, such as floods and droughts. For companies, planning for the future is just good business. As a new year dawns, it is hard not to be dazzled by the current pace of technological change in food and agriculture. Only last month, news emerged of a crop spray with the potential to increase the starch content in wheat grains, allowing for yield gains of up to 20%. This development comes hot on the heels of major breakthroughs in gene-editing technologies – using a powerful tool known as Crispr – over the course of 2016. A future of continually increasing food supplies and ever more sophisticated manipulation of agro-ecosystems seems to be upon us. However, there is a risk that these technologies blind us to the very real problems facing modern agriculture – problems that are rapidly undermining the previous round of technological advances. While global crop yields rose rapidly in the early decades of the “green revolution”, productivity is now plateauing in many regions of the world. A 2012 meta-study found that in 24%-39% of areas growing maize, rice, wheat and soybean, yields either failed to improve, stagnated after initial gains, or collapsed. The damage from climate change isn’t just coming in the future. It’s part of the present, as this weekend’s issue of The New York Times Magazine points out. Yet in the face of this urgent challenge — one that affects all of humanity, rich and poor, liberal and conservative, America and the rest of the world — President Trump has chosen to accelerate climate change. He and his aides are encouraging pollution. 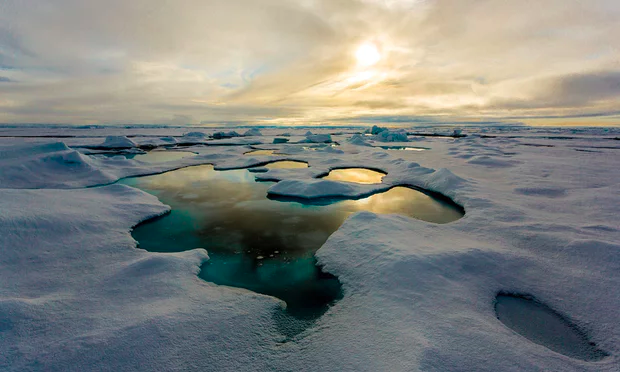 Here at the Energy and Environment blog, we cover, regularly, the tipping points of climate change — how, for instance, the glaciers of West Antarctica may already have passed a key threshold that leads to unstoppable melt. We cover the history of the Earth’s climate — including why the Holocene era, which began some 11,700 years ago and we lived in up until fairly recently (when many researchers believe an “Anthropocene” began), was so stable and conducive to human civilization. 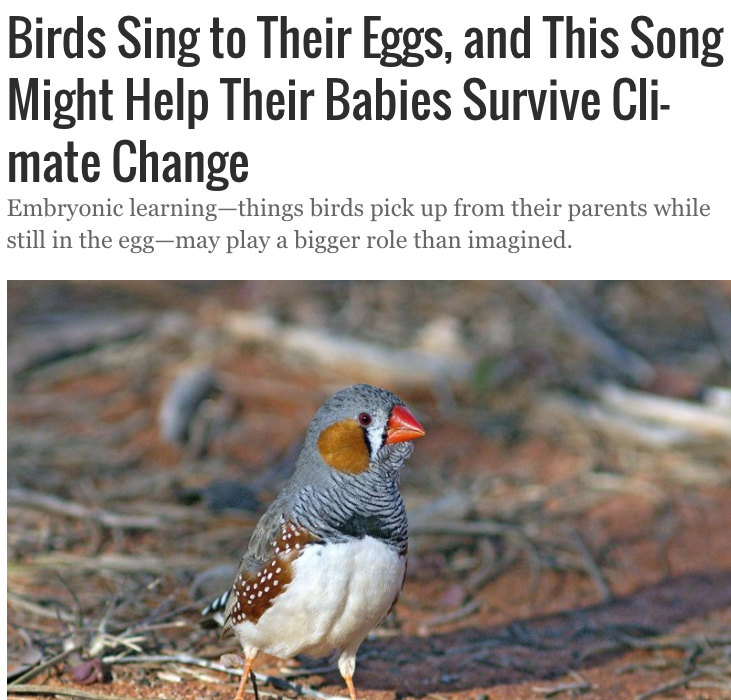 Birds feeling the heat from warming weather may be able give their offspring an early weather advisory right through the eggshell—which could in turn help baby birds prepare for the forecast. Then in 2015, a team of marine biologists was stunned and overjoyed to find Coral Castles, genus Acropora, once again teeming with life. But the rebound came with a big question: Could the enormous and presumably still fragile coral survive what would be the hottest year on record? Aug. 4 — Seventy percent more cities are now measuring and disclosing data on climate change compared to a year ago, according to the nonprofit CDP. A record 533 of the world's cities told CDP, formerly the Carbon Disclosure Project, how they are managing emissions and other related risks in the year after nations agreed to a historic climate accord. “This is welcome and encouraging news,” as governments ratify and implement the agreement reached at the end of 2015, Patricia Espinosa, the new executive secretary of the United Nations body that oversaw the climate negotiations, said in a statement.